Vivo is expected to roll out the Android 9.0 Pie update for its newer Nex smartphone line alongside the Vivo X21. Google earlier this week launched Android 9.0 Pie for its Pixel smartphones, followed by Essential and Nokia. 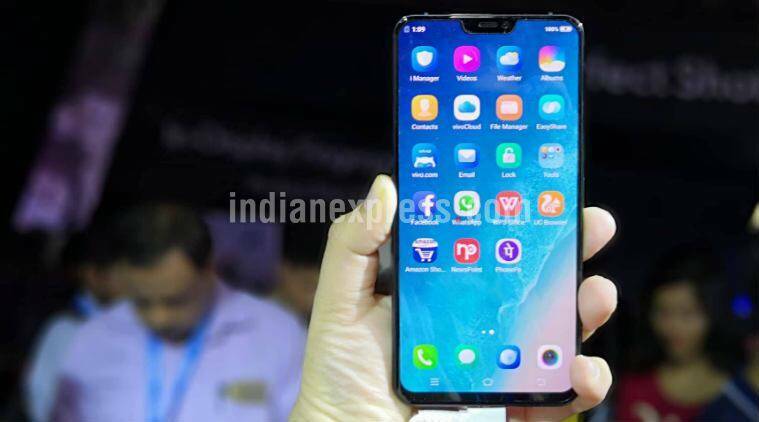 Now, Vivo has according to a report by Android Authority, confirmed it will start the rollout of the new operating system to its devices in the fourth quarter of 2018. However, Vivo hasn’t announced which devices will get the update. Vivo X21 was one of the devices which took part in Google’s Android P Beta programme, and it is likely going to be first device from the manufacturer to receive the update. According to the report, the statement came in response to a query regarding the Vivo X21 smartphone. Vivo is also expected to roll out the Android P update for its newer Nex smartphone line alongside X21. Other devices in the Android P Beta programme include the Essential PH-1, Nokia 7 Plus, OnePlus 6, Oppo R15 Pro, Sony Xperia XZ2, and Xiaomi Mi Mix 2S. Out of which the Essential PH-1 has already got the update, and Xiaomi has started testing the update on its Mi Mix 2S smartphone. Vivo X21 sports a 6.28-inch full HD+ Super AMOLED display with a resolution of 2280×1080 pixels. It is powered by the Qualcomm Snapdragon 660 processor paired with the Adreno 512 GPU. The device comes with 6GB of RAM along with 128GB of internal storage expandable up to 256GB via a microSD card. It runs Google’s Android 8.1 Oreo operating system with the company’s own FunTouchOS 4.0 skin on top and is backed by a 3,200mAh non-removable battery with support for fast charging. Vivo X21 sports a dual rear camera setup on the back consisting of a 12MP primary sensor with an aperture of f/1.8 and a secondary 5MP sensor with an aperture of f/2.0. On the front it features a 12MP sensor with an aperture of f/2.0. Connectivity options include 4G VoLTE, Wi-Fi 802.11ac, Bluetooth v5.0, GPS/ A-GPS, Micro-USB with OTG, and a 3.5mm headphone jack.